Landing on an email blacklist can be like purgatory. In this post we share how to handle it. I don’t watch much network TV, but I was a sucker for the show Burn Notice. And, believe it or not, it relates to being on the email blacklist. It’s about a former U.S. spy who’s “burned”. Cheesy? You betcha. But a little mindless entertainment every now and again is just what a content producer needs to get his mind off of facts, figures and tips. And in this case, it relates incredibly well to our topic at hand. While being put on a naughty list isn’t as terrible as waking up in a strange location, without a job—it can still be rough. To use the show’s intro, When you’re on the email blacklist, you’ve got nothing. No deliverability, no credit, no opens. You’re stuck in whatever spam folder “they” decide to dump you in. I probably didn’t even have to intro this topic. If you send cold email, you should be terrified to end up on one of the blacklists. You’re here to find out if you’re on one or not. So, let’s take a look at that. An email Blacklist is a real-time database that uses criteria to determine if an IP is sending email it considers to be SPAM. There are several blacklists… Each list [has] a unique way of accepting inbound mail and determining if email is considered SPAM. They can all impact deliverability for your emails. Here’s an image from Spamhaus (a top blacklist site). It provides a visualization of how the spam-labeling process works. So, based on the data (of your address), there are three places for your email to end up. If you’re on the list, you could end up in spam or no delivery at all. When you’re not, you will show up in the inbox. Important: If you notice the box in the middle that says “Policy Decision”. Most of these blacklist services set up their algorithms. And getting off of the naughty list is achievable in some cases, if you’re willing to play by the rules. We’ll get into that further down. Now, onto the biggest (and only) indicator. If your open rates drop, or if you’re just starting out and your open rates are less than 15%… you have a problem. Before you panic, you should check a few things out to ensure that your process is okay. Subject Line: If you have a really terrible subject line, people may not open. Or, it could have been sent to spam. Things like all caps, “Today Only”, and “Act now” in your cold email isn’t going to end well. CRM/Software: There could have been an issue with your emailing solution. Everyone has issues from time to time. Maybe it’s a botched send. Bad Lead Data: Let’s say you send 1000 emails from a new list and have a %10 open rate. That’s terrible, but let’s say that only 1/3 of the contacts were good. Now you’re up to a decent open percentage. Bad data is a common source of poor outreach. If you check these things and can’t find a cause— most likely— it means your email address is not trusted. One of the best ways to find out if the issue is from your URL, from your lead data, or from the old CRM is to run a test. Three main services include. It’s not always accurate. For instance, I ran my personal Gmail address through Mail Tester and apparently it’s only a 6.5/10 (see screenshot below). I never send any cold email from it, mainly personal and a small bit of client email. All of your MX Record, DNS, blacklist and SMTP diagnostics in one integrated tool. While it isn’t 100% foolproof; it can give you a further indicator that something is amiss. If the email blacklist seems like it’s the reason for your poor numbers, move on to step two. Well, now it’s time to check the source of potential problems — the blacklist sites themselves. Most of them work the same (in terms of checking the list). That said, there are usually specific pages to search their database and actually check whether or not you’re on it. MultRBL takes you right to the page and allows you to search IPv4/IPv6 address or domain name. SURBL’s search page is here. Invaluement seems to be a collection of lists. I couldn’t find a search function. Spamhaus gets it’s own little section of content. An immense set of lists, publicly calling out the worst spammers like the America’s Most Wanted list, and helping those who genuinely don’t want to spam. As hard as they are on spammers, Spamhaus helps those who are looking to improve their reputation. In fact, there is a “blacklist removal center“. Enter your IP Address or Domain. If it’s on a list, Spamhaus gives a link to resources for getting off of it. Michael Westen, the lead character from Burn Notice, (spoiler alert) had to fake his own death, blow up a large building and move to Ireland with his girlfriend to finally escape his blacklist. Hopefully, you won’t have to take it that far. Here are a few things that need doing to get off the list. In the show, the lead character doesn’t run away from the people who “burned” him. He goes along with their plan to find out more information about what happened. The worst thing to do if your IP is blacklisted is bury your head in the sand. Find out why. 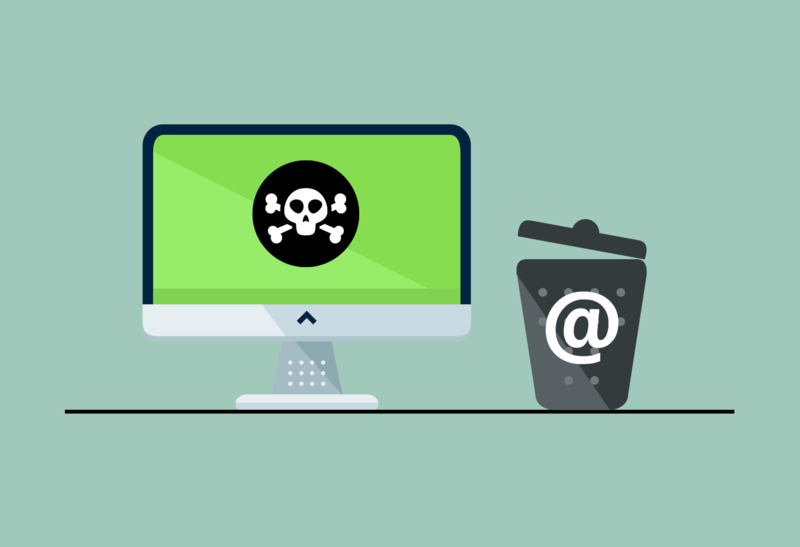 Send emails, make phone calls, use Spamhaus’ resources to get yourself off of the list. Unless there was some sort of mistake, something will need to be changed. Maybe you broke a CAN-SPAM law. That could cost you money and your business. Perhaps, a lot of people you send to have labeled you as spam. It could be that you’re sending emails to the wrong people or maybe you’re sending spammy content. Unless you’re a one-man-show, you’ll need to put an email policy in place to ensure that your blacklist days are behind you. Get some standard operating procedures in a doc and get your crew to read and sign that they understand it. Once you’ve made the changes, make it known to the list that you’re on the up and up. Make it clear. Send them a copy of your policy along with how you’re implementing it. You know that “World’s Worst Spammers” list? Guess where most of them call home? Here’s a quick breakdown from Kaspersky. Make sure you aren’t sending spammy emails! There is a broadening definition of the word Spam in the public eye. To a certain extent, this means that email marketers have to broaden their definition of the same term. Email spam, also known as junk email, is a type of electronic spam where unsolicited messages are sent by email. Many email spam messages are commercial in nature but may also contain disguised links that appear to be for familiar websites but in fact lead to phishing web sites or sites that are hosting malware. I don’t necessarily agree with this definition. It seems to define spam as all unsolicited emails. Then goes on to say they could lead to phishing?! The point here? One wrong move and the email you send is on the same level (to some) as mail order brides. In order to offer value, you need to have something of value to give them. The definition of “spam” is very loose. Sending an email about what you do and pitching them for a sale can be considered spam if done wrongly. (Most) leads couldn’t care less what’s in it for you. It’s all about what’s in it for them. And if you’ve got nothing for them, you could be (in their mind) Spam. You’re the one going into their inbox. Make sure they have a reason to open, click and respond. Thanks for providing this resource. It’s full of some good actionable info that you can take if you’re on a blacklist. There’s another tool called Send Forensics that’s also really good for testing email deliverability and it’s easy to use (no affiliation). Great article!